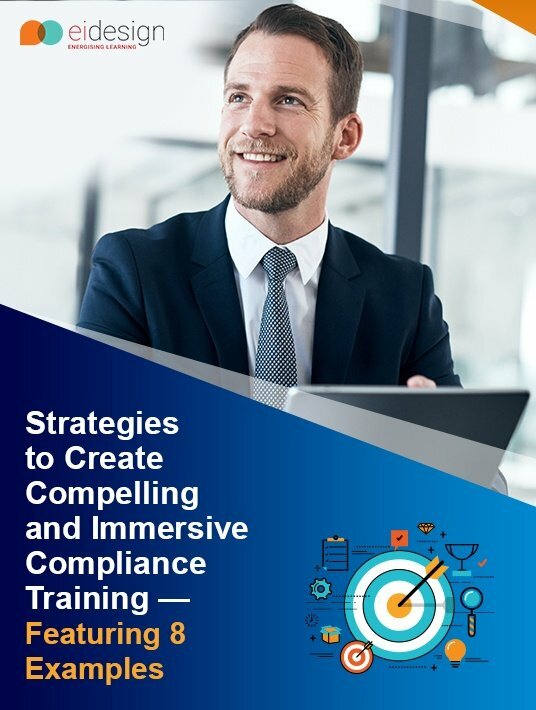 This eBook is designed as a guide to help you create Compliance training that is engaging for the learners and enable organizations to meet their mandate successfully. And also motivate the learners and ensure that the desired behavioral change occurs. This section outlines the typical challenges associated with Compliance training. Out of these, I pick the top three challenges and list the measures that can help you offset them. This section outlines the tips and best practices we have used successfully to create high-impact Compliance training. I share a step-by-step approach that can be easily applied to see the desired change. This section outlines possible learning strategies you can adopt. I also introduce the usage of a “Learning and Performance Ecosystem” based approach to create a sustainable model to deliver Compliance training as well as provide triggers to create the desired behavioral change. The last section is the most interesting one wherein I dip into our vast repository and share 8 examples. Specifically, I use a “before and after” approach to highlight the impact of the learning strategies that engage learners better. As adult learners, we respond better to an approach that lays down why we should be mindful of certain aspects, as there are associated consequences (for us as well as the organization) if we do not comply. Why is it that most learners dread compliance training, or at least think poorly of it? A lot could be said, but it is best to concentrate on how to bring fresh air in, make it compelling and immersive. This is exactly the purpose of this eBook, presenting you with tips and best practices, along with strategies that will motivate and engage your audience. However inventive you are, there always comes a time when you run out of ideas for compliance training. The examples given here, will certainly boost your creativity.